Sam Baron is about to get the shock of his life. First his substitute English teacher claims to have turned his old teacher into a lizard; then a strange dwarf named Rego arrives and claims Sam is from a magical realm called Orkney. When his friends are taken prisoner, it's up to Sam to save them. Sam embarks on a journey to Orkney through a stonefire to find his friends--but when he arrives, he discovers that an ancient curse has turned the sun a poisonous red and threatens to destroy the land. With only a young witch girl to guide him, Sam must choose: save his friends, or stop the red sun from consuming the land? 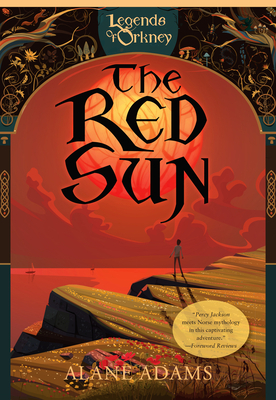 Drawing on Norse mythology, The Red Sun follows Sam's journey to uncover the truth about his past--a journey during which he has to overcome the simmering anger inside of him, learn to channel his growing magical powers, and find a way to forgive the father who left him behind.